Here’s good news for those planning to go to Romania for the long weekend, or wanting to spend 3-4 days in the country: It can be done. There are 3 main attractions in Romania: History (Castles) , Culture (Countryside and Urban areas) and Outdoors (can be found in rural areas and national parks). And I’m pleased to say that you can perfectly combine all three factors within 3-4 days in Romania. 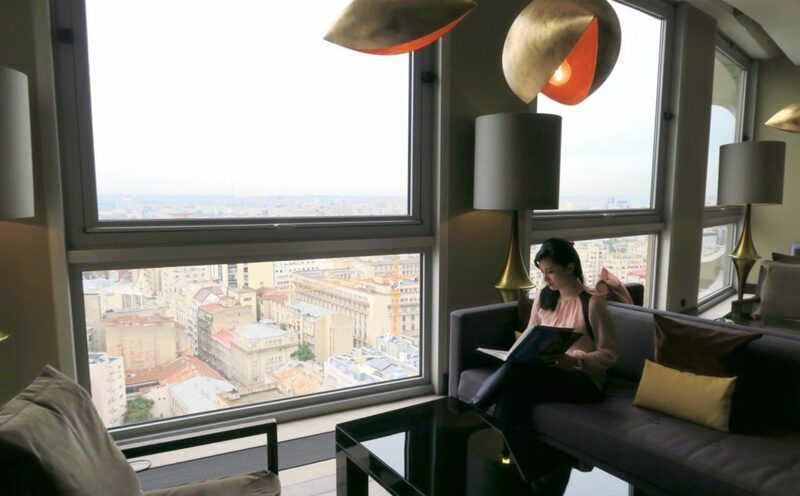 It can be daunting to start planning an itinerary in a place that’s not often travelled (yet), that you’ve never been to and no one you know has been to yet. That was certainly how I felt when I was planning our trip to Romania. 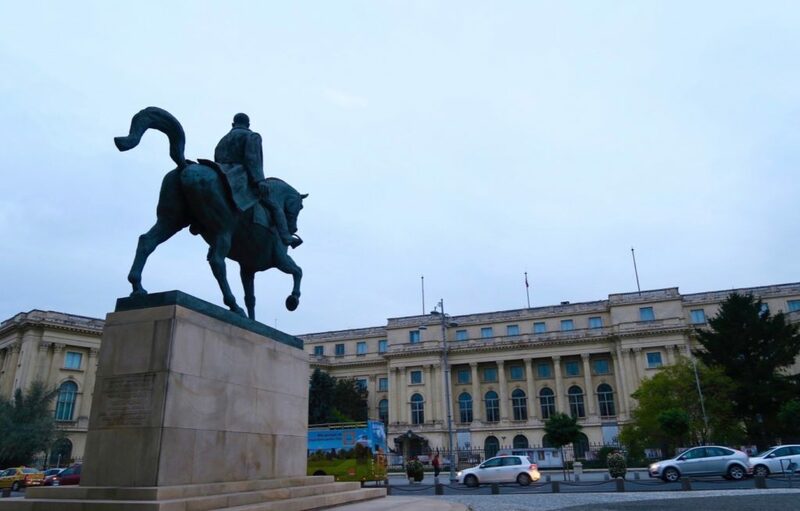 Though there were a few sample itineraries on line and from blogs, none of them really fit everything we wanted or had the exact days we were going to spend in Romania. We only had 3-4 days in Romania and wanted to capture the 2 castles (Peles and Bran), see Bucharest, have a rural experience and also get to see the mountains/ outdoors of Romania. It sounds like an action-packed / no rest kind of itinerary especially as we only had limited days, but it ended up pretty chill and relaxed even though we ticked all that we wanted to see and experience. I met Dan through sheer chance – he was introduced by someone I was originally meant to meet in Romania but became unavailable. And I’m extremely glad that the formerly ‘unfortunate’ situation became one of our best experiences in Europe. Dan Chitila is the owner of Outdoor Activities in Romania. As the name suggests, he specialises in outdoor activities in Romania, but the best part is that he leads private and customisable tours. Outdoor Activities in Romania does not have generic pre-made ‘Tour A’ or ‘Tour B’ types. Dan got to know us first through a series of email exchanges, got to know our interests and fitness levels before he presented us with itineraries to choose from. And even after an itinerary was chosen, we were still free to discuss and tweak it depending on schedule / interests/ weather. So in planning this trip, I gave Dan our schedule and advised him what we wanted to achieve in the given time frame. We arrived in Bucharest around 4PM. And as it took us over 30 hours just to get to this part of the world (we flew Sydney – Singapore – London – Bucharest), we alloted the entire afternoon / evening just to rest. We had an early morning start at 7 am as Dan picked us up from our hotel. Then we headed straight to Peles Castle (over 2 hours drive). 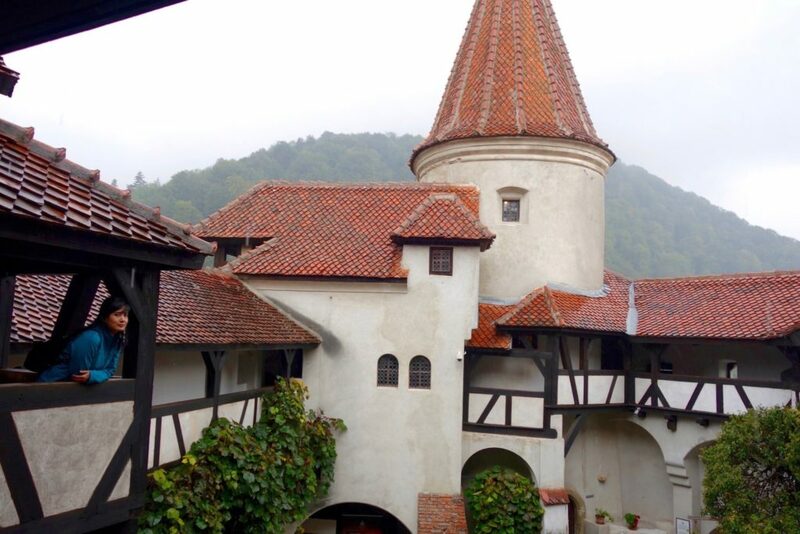 After Peles Castle, we moved to Bran (aka ‘Dracula’s Castle) – see our complete castles tour in this post. We finished the two castles in the afternoon and we proceeded to drive to Pestera, a rural village to stay overnight. 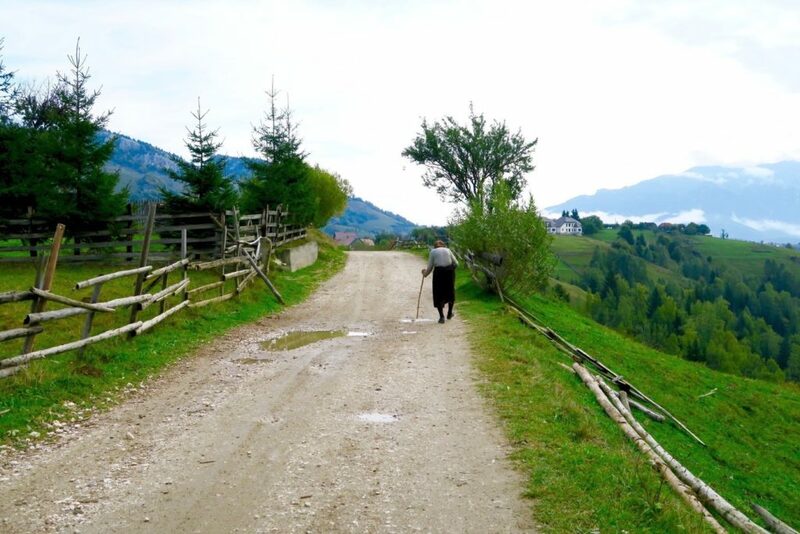 You can read about our complete rural Romania experience here. In the morning, we explored Pestera and its neighbouring villages, and got to play with the farm dogs. 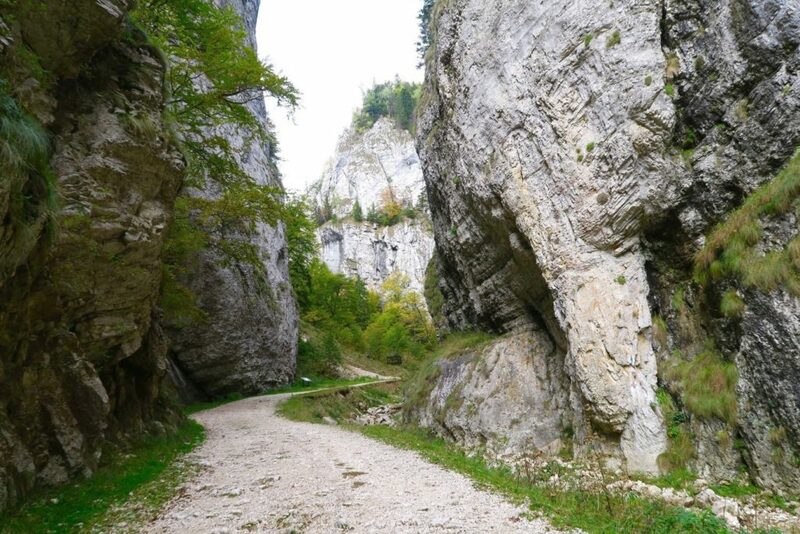 Then we headed to Piatra Craiului National Park, where the Zarnesti Gorges are, and had a long walk, just enjoying the mountains and serenity of the place. 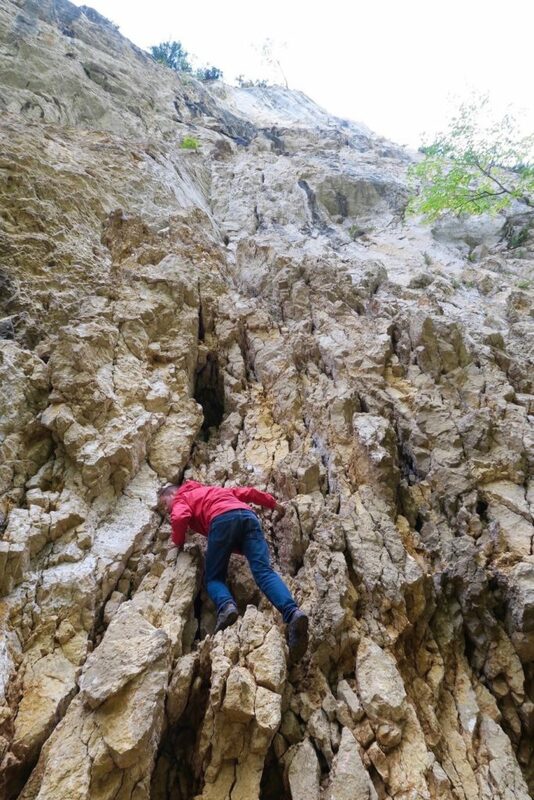 We later learned that this area is also popular for rock climbers and Dan demonstrated freestyle rock-climbing. Apart from being a professional tour guide, Dan is also a qualified mountaineer guide. In the the afternoon, we were back in Bucharest, where Dan gave us a mini walking tour. Okay, our Bucharest ‘tour’ (or education, if you will) actually started way before we reached Bucharest. During the long car rides, we already peppered Dan with so many questions about Romania. we were so curious about Romania’s history (communism and post) and also modern Romanian society. And it was during these conversations that I saw how Dan is very passionate about his country, and really does his best to show Romanian hospitality and the outdoors in ways he knows best: Not just by telling you about it, but also showing you. Dan still has faint but succint memories during Romanian communist time and describes the time to us very well, along with accounts from his own parents. We really learned so much about how / why Romanian society is as it is now and appreciate it much more. And Dan, who used to work in the field of IT, and found his true calling and more than three years ago (and never looked back!) is the perfect person to converse with as his life experience in Romania is so diverse. A Random (but nevertheless important) fact that I learned from Dan: Julio Iglesias is REALLY big in Romania! Bet you didn’t see that coming! 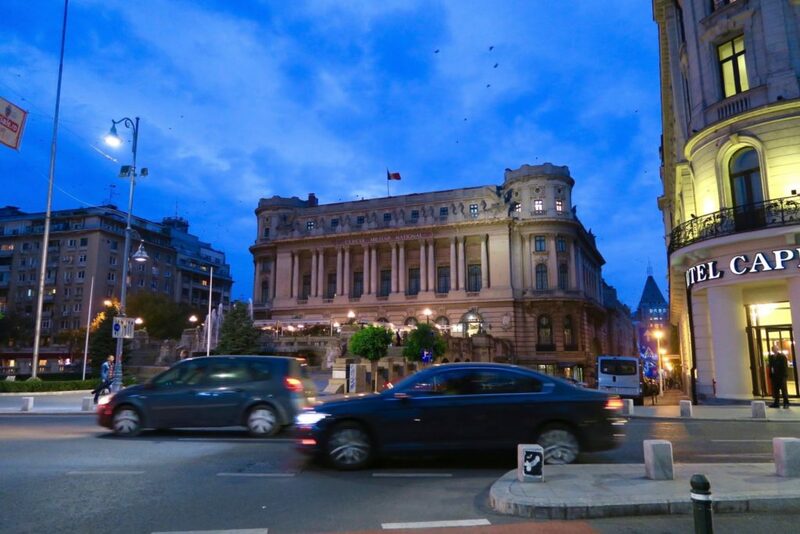 By around 6:30 PM, we bid Dan goodbye as he drove us to our hotel in Bucharest. None of the activities felt hurried or rushed at all, and I’m still amazed at how we were able to accomplish quite a lot in such a short time. Outdoor Activities in Romania’s tagline / motto is : “Happiness is real when it’s shared” . I do agree with this, and I might add a small phrase to that: ‘when it’s shared with the right people’. We really enjoyed our time with Dan and I believe this is due to 1.) Dan being the right person to guide us, and 2.) with this being a private tour. I am a strong believer that who you travel with can make or break your experience (therefore enjoyment). And on a 3-4 day itinerary like this, it pays to go on a privately run tour. Dan also is very hands-on with his business, preferring to lead the tours personally as much as he can. He remembers and knows all his guests and clients by memory and tells us about the tours he had with them vividly. 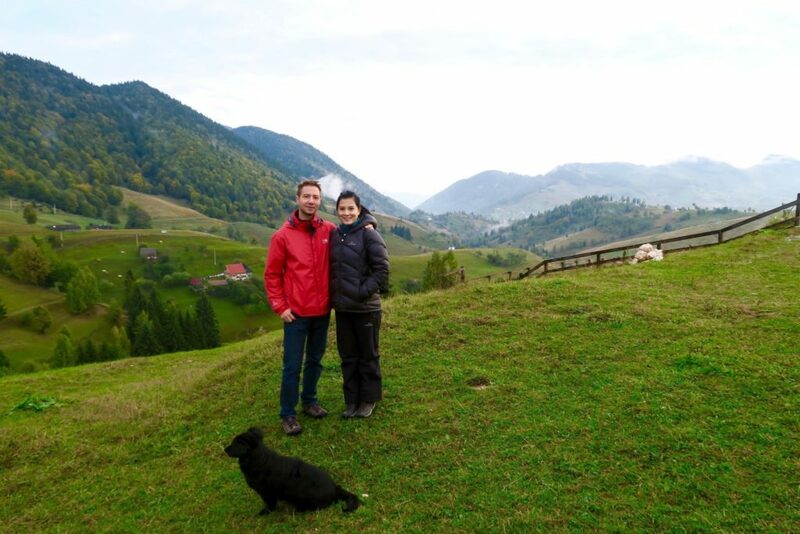 I would recommend Outdoor Activities in Romania for those seeking something off the beaten track in Romania. And also those who would like to travel deeper and not just see the usual touristy jaunts. exchange for a review. All opinions are honest and are my own. All other expenses (hotels, food, entrance fees, etc) were covered by ourselves. its good to see areas that arent often travelled, written about. Photographs look fantastic! great job! 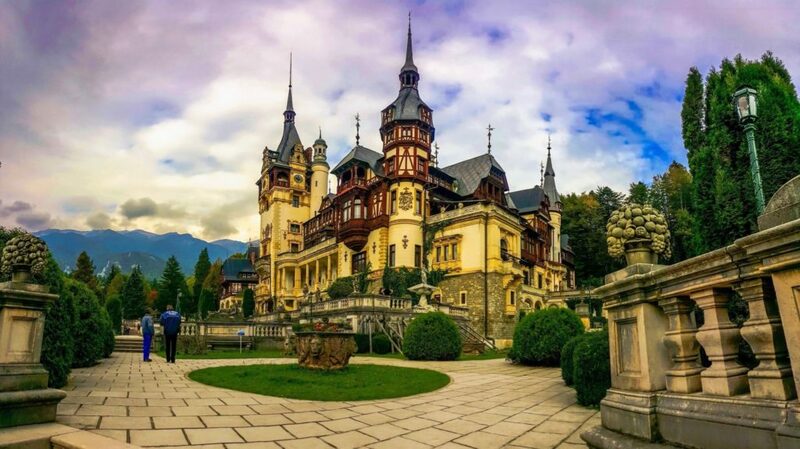 Such a fabulous place to visit in Romania. Great photography Jean!!! Nice to read this post thanks to share with us. Hi! I’m planning a 4 Day trip to Romania and your blog was so lovely! Would Dan be willing/know of someone else who could help drive a few students to see sights? We love history and exploring but are on a tight budget with money and time. Hi Melissa! You can try contacting Dan at contact(AT)danchitila.ro he’s quite accommodating.